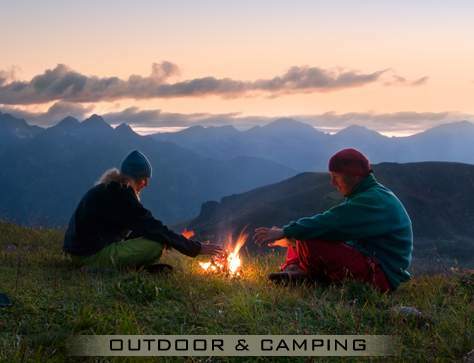 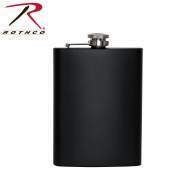 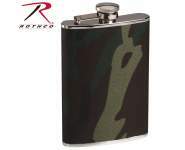 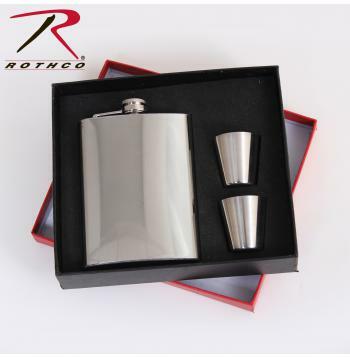 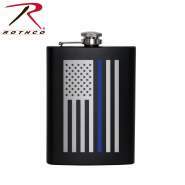 Rothco Stainless Steel Flask Gift Set contains an 8 Oz. 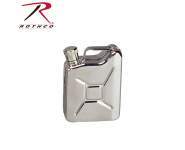 stainless steel flask, two 1 Oz. 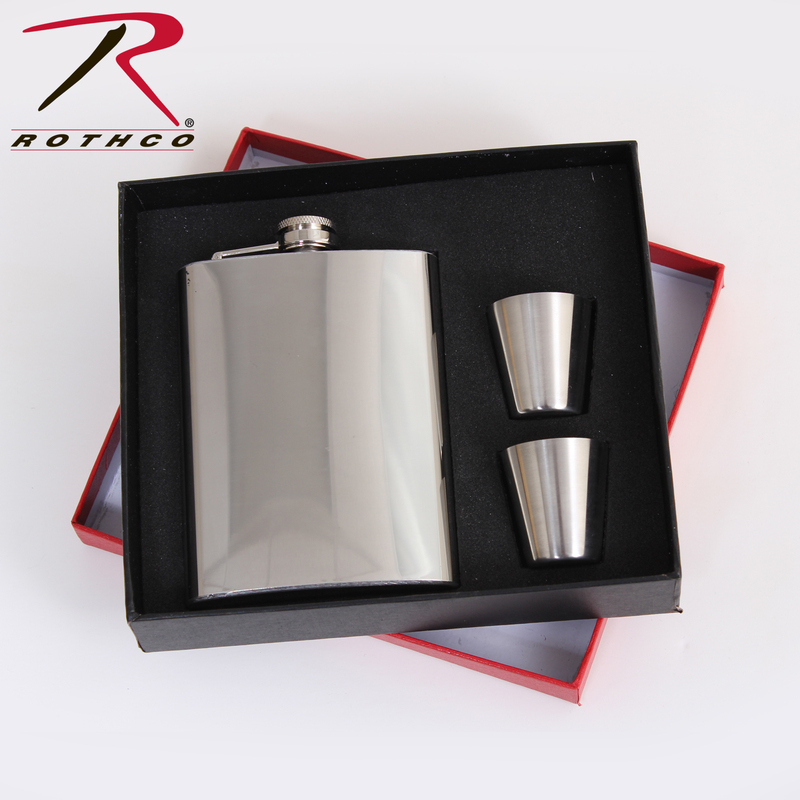 stainless steel cups in a gift box set.